Interviews with the victim and two witnesses, surveillance footage from the restaurant, and the viral Facebook video posted by the victim’s mother after the attack were all reviewed prior to SAPD arresting Jimenez, according to the affidavit. KENS 5 contacted the Bexar County Sheriff's Office because there were different photos claiming to show Jimenez. 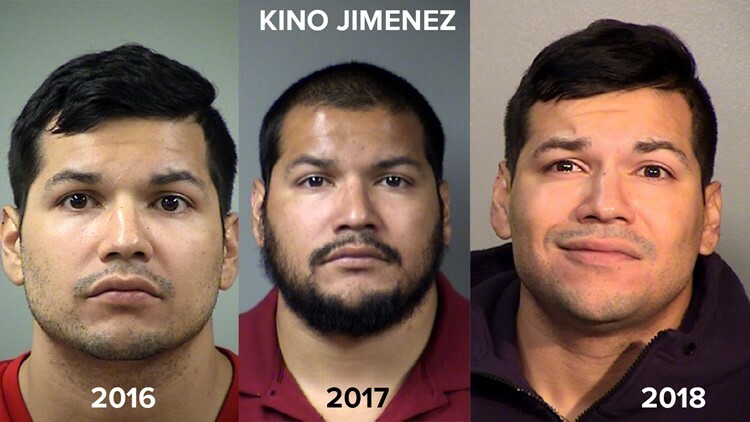 We learned the photos below are of Jimenez, but from different years, dating back to 2016.